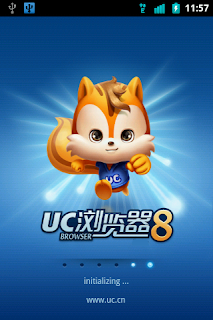 After a long wait UC browser 8.0.5 Final is released now For Android. It comes with some Fantastic features and lots of fixes. Quick Reads: Simple to use Quick Reads makes it a joy to keep atop the constant flow of information on the web. The best way to read the web. Quick Dial: ‘Quick Dial’ navigation gives you immediate access to your favorite websites. Quick switch: With tabbed browsing, you can see which web pages you have open at a glance, and move back and forth between pages with a single tap. Quick pre-loading: Prefetch content loading and intelligent caching: The web whizzes by, page loads in a blink.